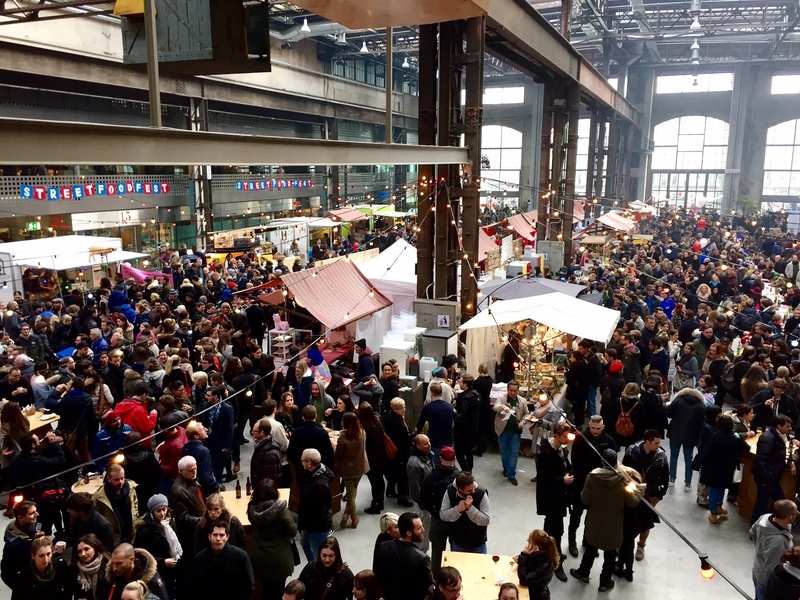 This year, Zurich hosts an international food festival on three occasions – food stands and trucks offering innovative street foods inspired from around the world will gather at different locations, drawing thousands of hungry people eager for a taste. 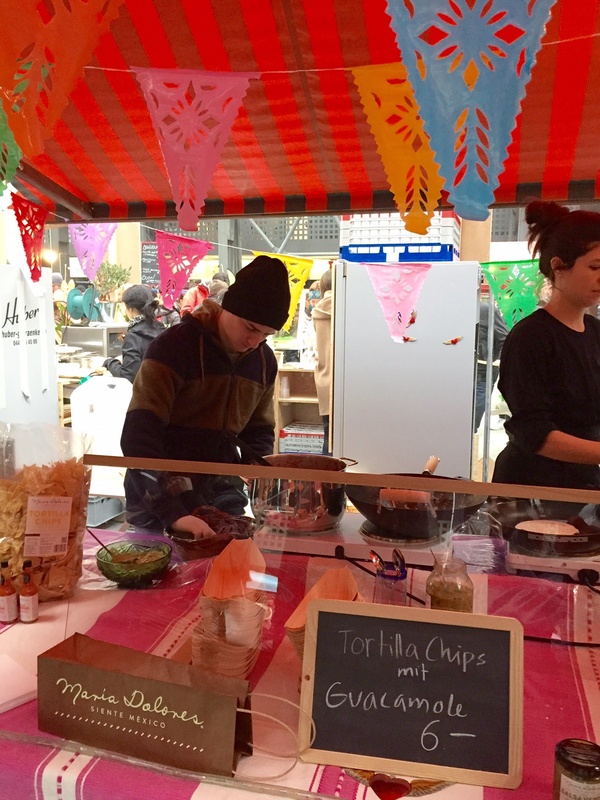 The first of these festivals lured us out of winter hibernation last weekend. 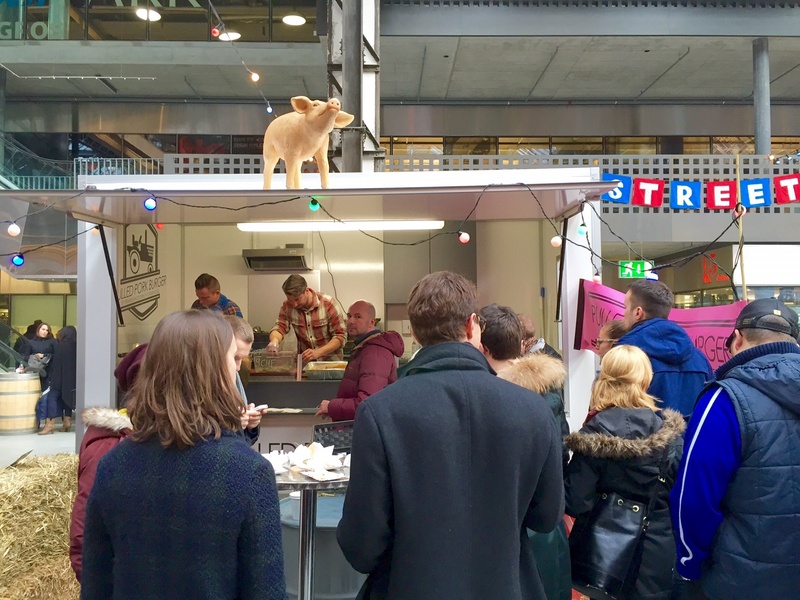 Held in the cool Puls 5 building at the heart of trendy Zurich-West, we found eats from every corner of the world including tacos, tempura, curries, falafels, raclette, bánh mì, zheng baos and dozens of delectable treats. 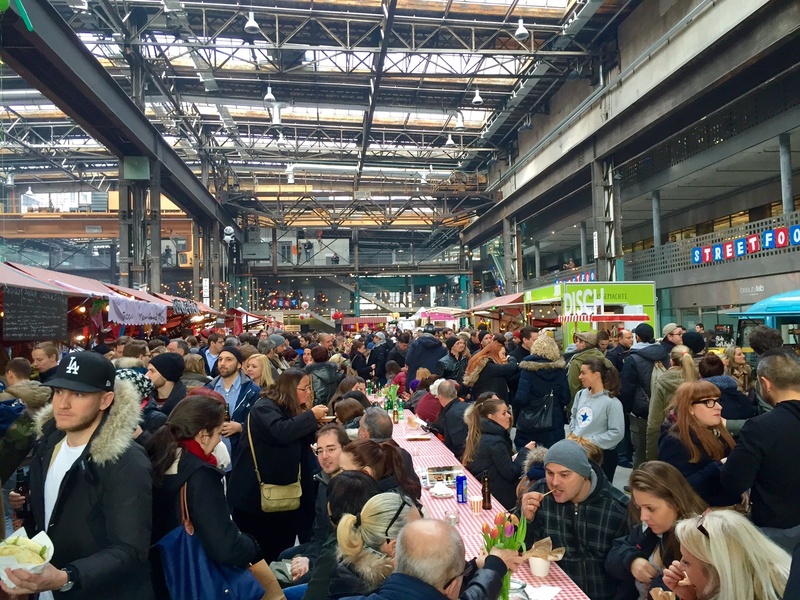 Having been disappointed before by food festivals in Zurich, we were pleasantly surprised by the options and the authenticity of the food. Definitely worth checking out again next time! Zurich Street Food Festival at the Puls 5 in Zurich-West. Lots of hungry people! 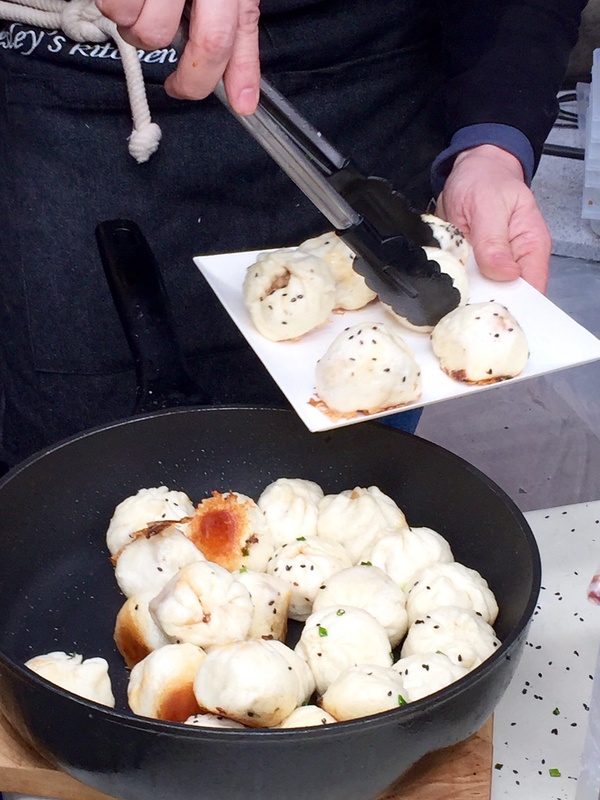 My favorite stand, Wesley’s Kitchen, makes excellent authentic zheng baos (savory steamed buns). We waited in a line 30 people deep but well worth it! Mmmm – the perfect zheng baos are soft on the outside with a crunchy pan-fried bottom. These ones were filled with meat inside. Watching and smelling the arepas take shape. 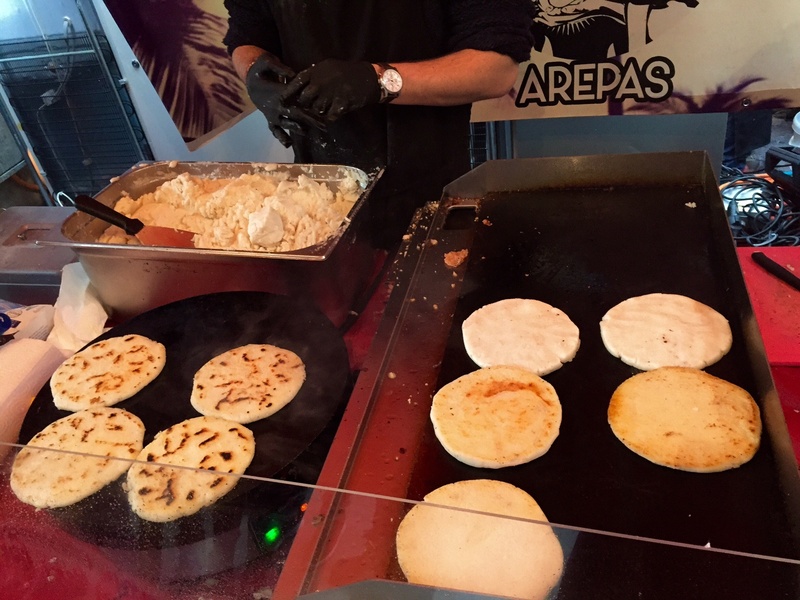 Arepas are flatbreads made of ground corn, popular in Columbian and Venezuelan cuisines. Then it’s made into delicious sandwiches filled with yummies. 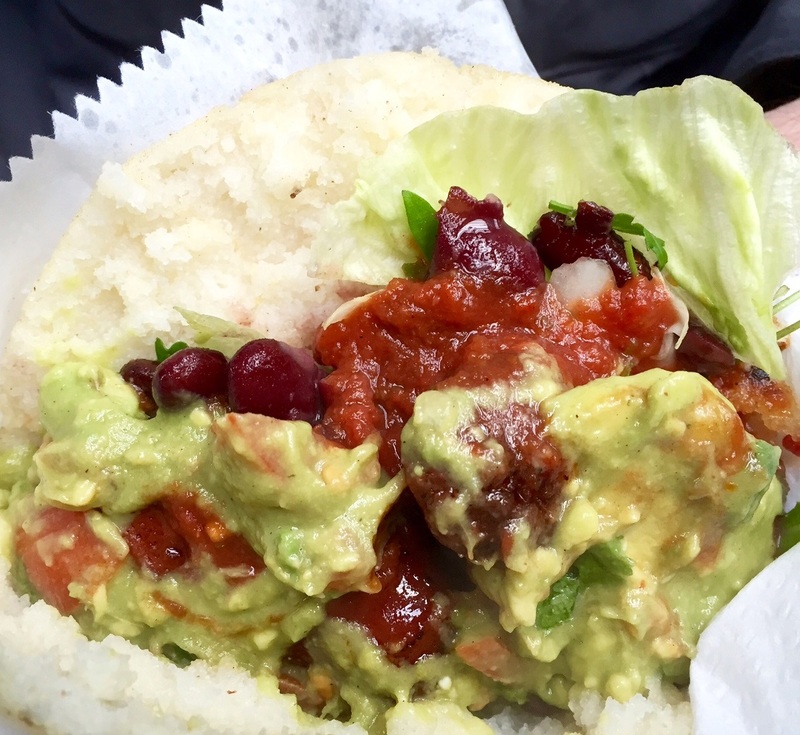 This one here had chorizo, kidney beans, salsa and guacamole. Delish! 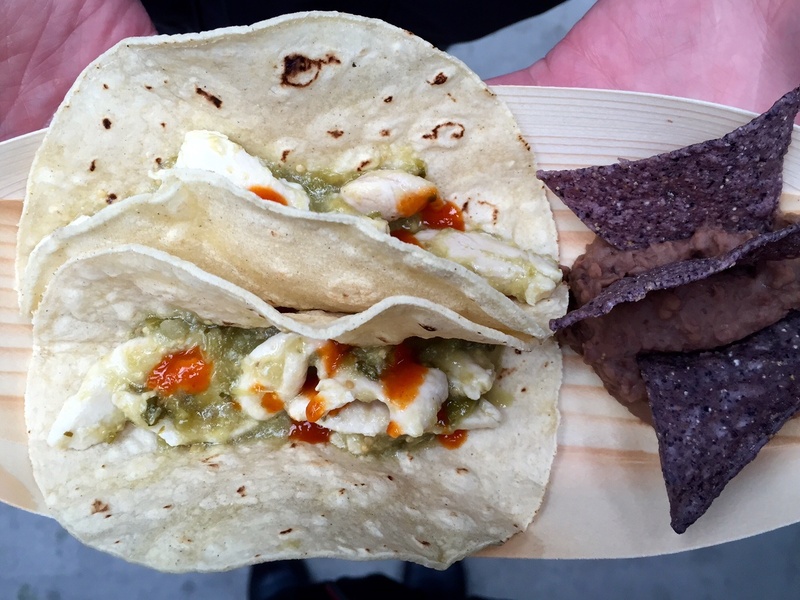 Chicken tacos with chips and bean dip…these were a bit disappointing I have to admit. But still worth the try. 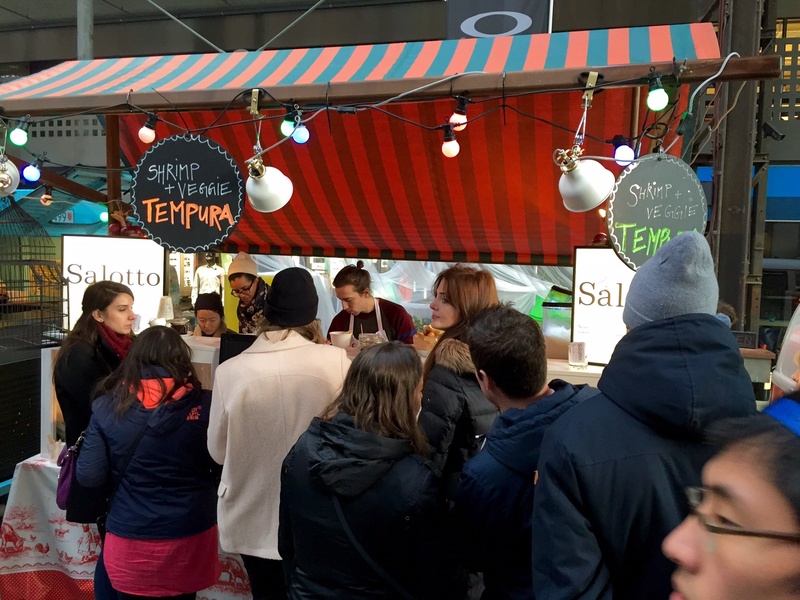 Very long line for tempura. We didn’t try it but it looked good. 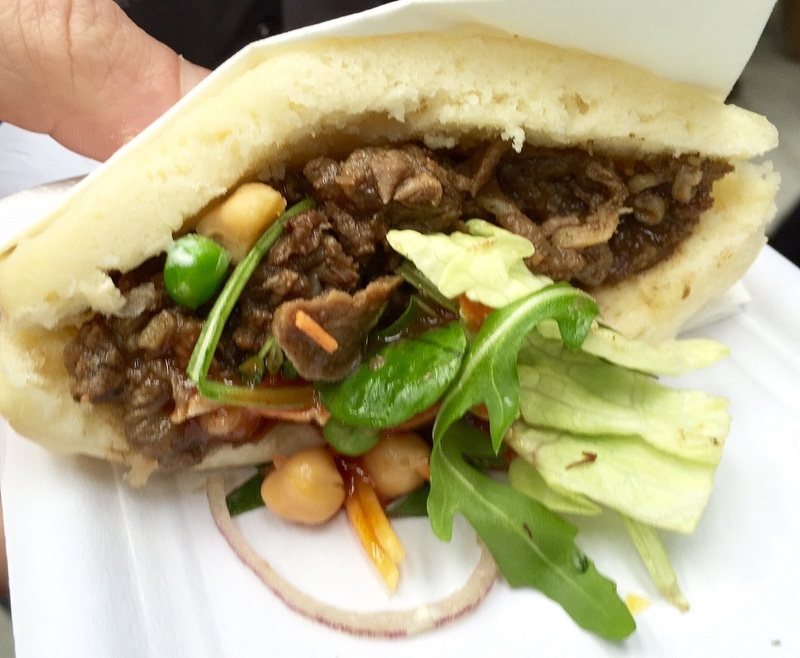 Mike’s favorite food of the day – the wagyu beef bun. Handmade naan and Indian food. As expected, we waddled away from the food festival stuffed and uncomfortably full – but feeling fat and happy. 🙂 The next two festivals of the year, happening in May and September are already on my calendar! 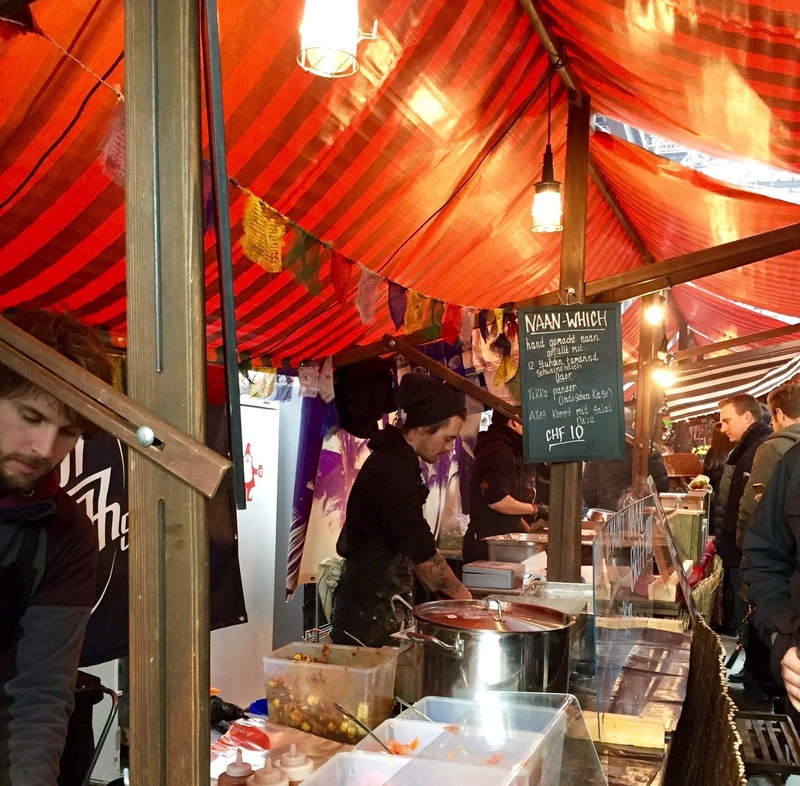 It’s safe to say that after battling the throngs of people at the festival, Zurich is in need of more authentic international foods!